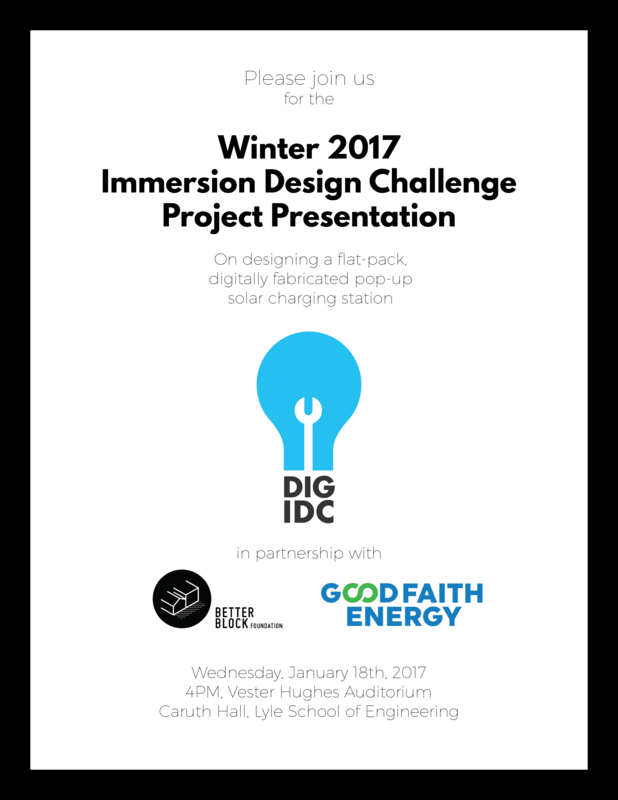 This installation is a solar-powered, digitally fabricated pop-up charging station built by a group of SMU students as part of an Immersive Design Challenge, a week-long program hosted by the Deason Innovation Gym at SMU. It is a design study intended to promote the use of clean energy while simultaneously enhancing the experience of public spaces. MODPOD is the result of a partnership with the Better Block Foundation and Good Faith Energy. Better Block’s Wikiblock library is an open-source toolkit of designs for benches, chairs, planters, stages, bus stops, beer garden fences, and kiosks that can be downloaded for free. The modules you see here are the newest addition to the Wikiblock library. Wikiblock designs can be taken to a makerspace where a CNC router (a computer-aided machine) can cut them out of a sheet of plywood. Most products can then be assembled without glue or nails, and used instantly to make a block better. Our modules are the first in Wikiblock to incorporate solar. With Good Faith, MODPODs can help any community take a step towards “distributed generation,” meaning power consumed at the point of generation, and a brighter, cleaner better block.